Renowned for its excellent cuisine and fascinating architecture, Emilia Romagna makes a great visit any time of the year. With its magnificent palaces, castles, churches and numerous UNESCO World Heritage sites, the region counts some of the most beautiful art and Renaissance cities of Europe. 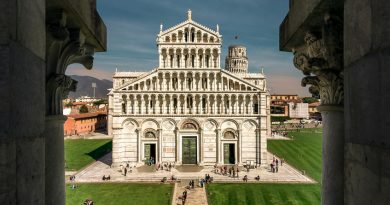 It is also home to four of the world’s oldest universities and some world-famous gastronomical icons and automotive brands, such as Ferrari, Lamborghini, Maserati, De Tomaso and Ducati. The capital city of Emilia Romagna is not only home to the oldest university of the Western world, but it is also one of the most beautiful art cities of Europe. The city is famous for having the world’s longest arcades (40 km in total! ), for its many towers and other historic and cultural landmarks, all testimonies of its spectacular history. Parma is a very ancient town that was already inhabited in the Bronze age. It is the hometown of Giuseppe Verdi and Arturo Toscanini, and is also world famous for its ham, Prosciutto di Parma (Parma ham) and cheese, Parmigiano Reggiano (Parmesan cheese). The Parma school of painting flourished there in the 16th century under the patronage of the Farnese family. Its two most influential artists were Correggio and his pupil Il Parmigianino, whose works marked the transition between the Renaissance and Baroque art. 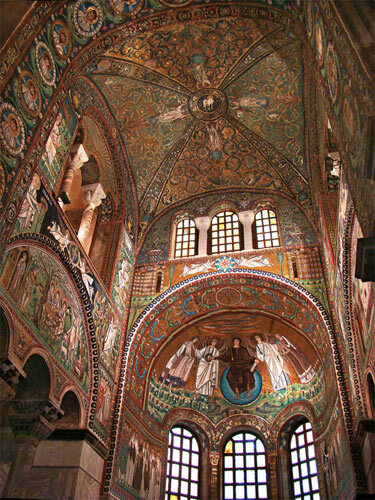 Symbolic of the fusion between the Orient and the Occident, Ravenna was the capital city of the Western Roman Empire until it collapsed in 476, then of the Kingdom of the Ostrogoths and later of the Kingdom of the Lombards. 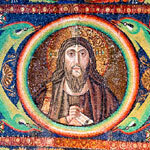 It is also the location of a UNESCO World Heritage Site comprising eight early Christian and Byzantine monuments. The city inspired poets such as Lord Byron, Alexander Blok and Herman Hesse, who wrote poems about the city. Modena is known as “the capital of engines”, with famous names such as Ferrari, De Tomaso, Lamborghini, and Maserati, which all have or had factories there. It is also renowned both for its rich and diversified cuisine, and opera, as it is also the birthplace of Luciano Pavarotti. Three UNESCO World heritage sites, the Cathedral (Duomo), the Ghirlandina tower (a huge Romanesque campanile built of white marble) and Piazza Grande are among Modena’s beauties. One of Europe’s finest Renaissance cities, Ferrara was an intellectual and artistic center that attracted the greatest minds of the Italian Renaissance in the 15th and 16th centuries. 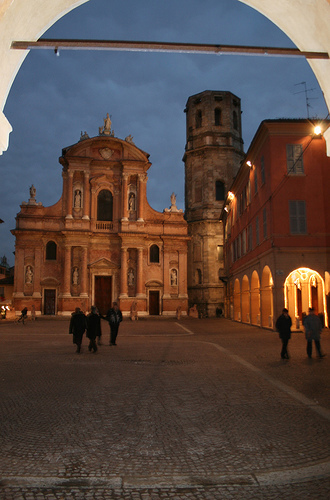 The city was the seat of the Este family dynasty, until the latter were forced by the papacy to move to Modena in 1598. The Este court attracted writers like Petrarch, Tasso and Ariosto, and painters, such as Mantegna, Titian and Bellini. The notorious Lucrezia Borgia married her third husband Alfonso I d’Este, Duke of Ferrara,in Ferrara in 1502. Ferrara is also one of the region’s greatest walled towns, surrounded by more than 9 kilometers of ancient walls, among the best preserved Renaissance walls in Italy. The entire area enclosed by the city walls is on the World Heritage list. 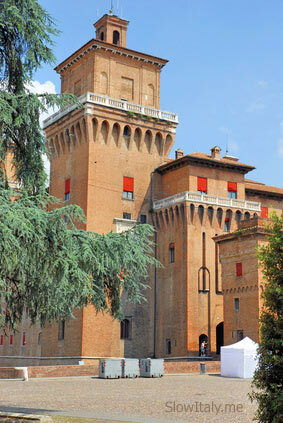 Ferrara’s most iconic building is the imposing Castello Estense (Este Palace). One of the landmarks of the city is the Museo Internazionale delle Ceramiche, housing one of the largest ceramic collections in Italy. It is after this city that the faïence ceramic-ware, which were already renowned throughout Europe in the Renaissance period, are being named. 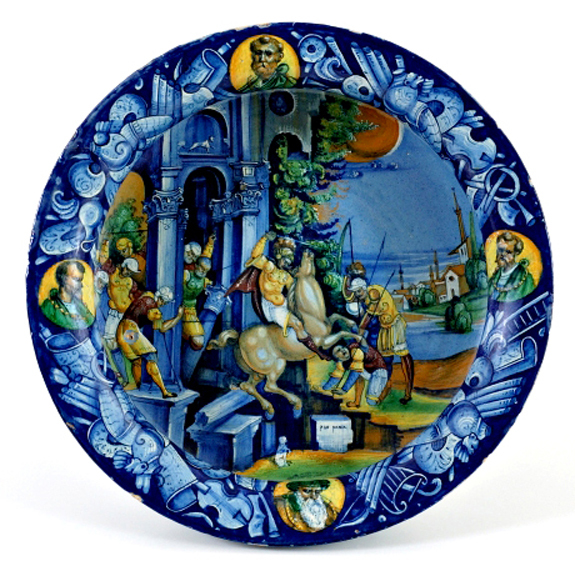 The museum houses pieces from all over the world and from every epoch, including classical amphoras, medieval majolica, and the works of Matisse, Chagall and Picasso. 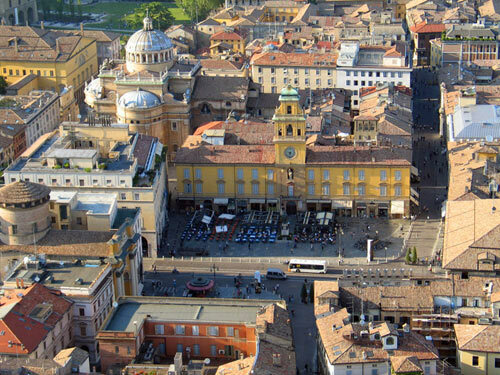 Faenza’s main buildings, ranging from the 1400s to the 1700s, are concentrated on its two contiguous main squares: Piazza del Popolo, and Piazza della Libertà. Piacenza boasts a great number of historical palaces, often surrounded by splendid gardens attesting to its illustrious past. Its remarkable Lombard-Romanesque cathedral dates from the 12c-13c. Other sites of interest are the Palazzo Farnese, which houses the Museo Civico and the Piazza Cavalli with its equestrian statues of Dukes Alessandro and Ranuccio I Farnese. 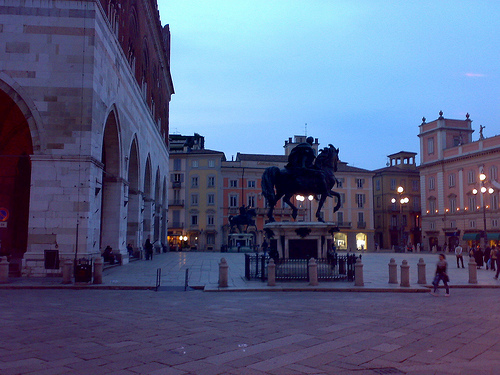 Reggio Emilia is famous for being the place where the Italian tricolor was created. It was first adopted by the short-lived Cispadane Republic (Bologna, Modena, Ferrara and Reggio Emilia) in 1797 and became the national flag of Italy in 1848. The first, original flag can be seen in the Sala del Tricolore, in the town hall in Piazza Prampolini. The Basilica di San Prospero, built in the 10C. 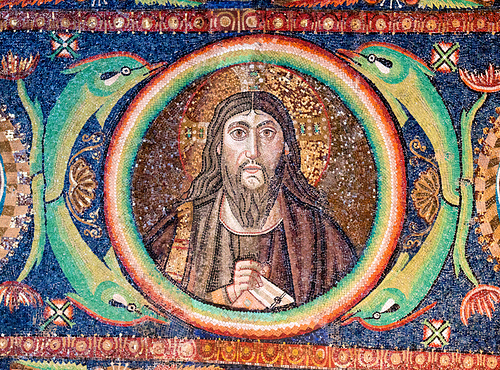 in honor of Prosper of Reggio, the patron saint of the city and consecrated by Pope Gregorio V in 997 was reconstructed by between 1514 and 1523. Not as prestigious as the previous cities, the picturesque village of Castell’Arquato is nevertheless worth a visit. The pretty village is located in the countryside south of the Po at about 33km from Piacenza. The traditional structure and magic of the medieval town has remained virtually unchanged since the early 10th century. At the top of the town is the fortress, Rocca Viscontea di Castell’Arquato, built on the foundations of a very ancient roman castrum dating back to the III century b.C. 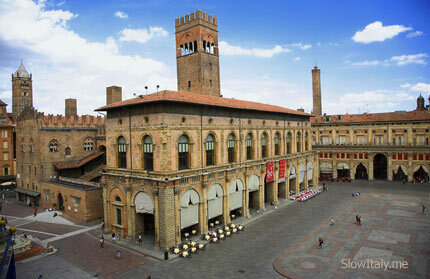 From the top of the tower, you’ll have a fantastic view of Castel’Arquato and the beautiful countryside. Luigi Illica, author of the famous opera libretti Tosca, La Bohème, Madame Butterfly, Andrea Chénier was born here in 1857. The Luigi Illica Museum exhibits a collection of manuscripts, letters, opera scores and costumes.With its 4 museums for about 4,000 inhabitants, the town has one of the highest ratios of museums per citizens.